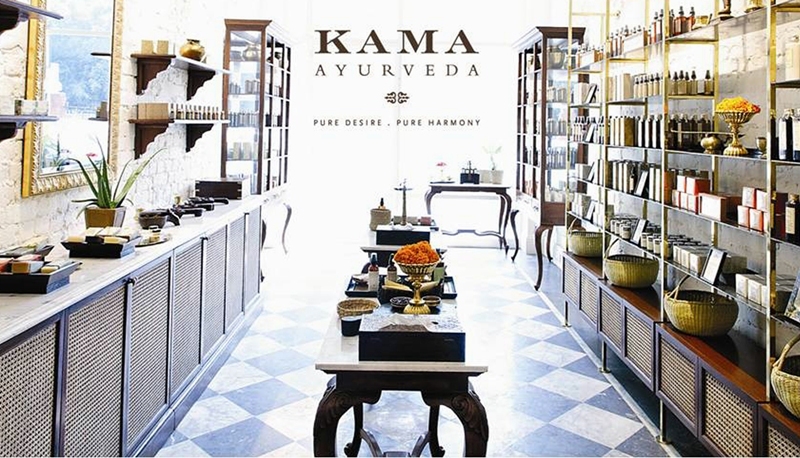 The beautifully designed and packaged, Pure & Authentic Ayurvedic brand, Kama Ayurveda has won several prestigious design and retail awards following the launch of its flagship store in New Delhi’s upscale Khan Market in September 2012. In February 2013, the Pure and Authentic Ayurvedic brand – Kama Ayurveda, received the Images award for the Most Admired Launch of the Year for a Beauty Retailer. Earlier in the year, the award for Best packaging design by the Confederation of Indian Industries and the National Institute for Design (CII-NID) was given to Vivek Sahni Design for Kama Ayurveda’s packaging. The award winning packaging has a vintage charm with a contemporary twist, creating a definitive design statement for Ayurveda for the 21stcentury. Kama also earned Vivek Sahni Design the highly regarded CII-NID Environmental Graphics Award for the design of the Kama store in Khan Market.